Creditors of Designer Homeware Australia Propriety Limited gathered today in Sydney to meet with liquidator Joubert Insolvency. An upmarket appliance retailer with two showrooms, a commercial business and a transactional website, Designer Homeware was placed in liquidation on 2 January 2014. The agenda at the creditors meeting at the CTA Business Club in Martin Place included a report on the liquidation, a discussion on the remuneration of funds to creditors and any other business creditors may have. Designer Homeware operated two Sydney stores, in Camperdown and Chatswood, selling appliance from a wide range of premium brands including Electrolux, Bosch, Vintec and De’Longhi. The company also had agency agreements with pro forma brands such as Miele, Bora, AEG, V-Zug, Hoover and Gaggenau. “With over 25 years experience working with the world’s finest kitchen and laundry brands, we’ve had the time to get to know our suppliers better than most,” says a company statement. “That’s why we’re able to get you the best deals in Sydney, backed by the Designer Homeware low price guarantee. Designer Homeware proprietor Athan Papoulias told Appliance Retailer late last year that the company was performing well and gave no indication that liquidation was on the horizon. We have made several failed attempts to contact Papoulias directly, while phone numbers for both stores ring out and emails to Designer Homeware domains bounce back with a message that the mailbox is full. 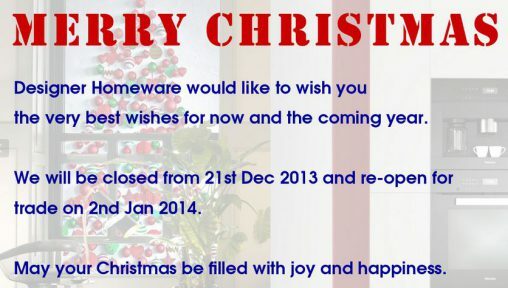 According to the Designer Homeware website, the stores were due to reopen on 2 January 2014 after a Christmas break starting on 21 December 2013. Instead of re-opening on 2 January 2014, Designer Homeware went into liquidation. The Designer Homeware’s website is currently showing promotional material for Miele, Neff, AEG and ASKO appliances, as well as promoting its demonstration classes. Unusually for the appliance industry, Designer Homeware was not a member of any major retail group, co-operation or franchise system, operating as a true independent. Are you a Designer Homeware’s creditor? Do you have any information on this liquidation? Contact AR in confidence. Featured Image: Miele Generation 6000 cooking appliances. Looking for more creditors who have had ‘dealings’ with Joubert Insolvency. I am one of those people and I am extremely frustrated by them as they fob me off when I call and never return calls. Hence I do not know what has happened to my property. A few months late – yes I have had attempted dealings with Joubert – whenever I ring they fob me off then refuse to return calls. Meanwhile as far as I know my property has disappeared and I would like to know who took it and why. Joubert is reported to have told this site that they return all calls and emails.